Practicing meditation and Buddhism in a friendly and welcoming atmosphere. 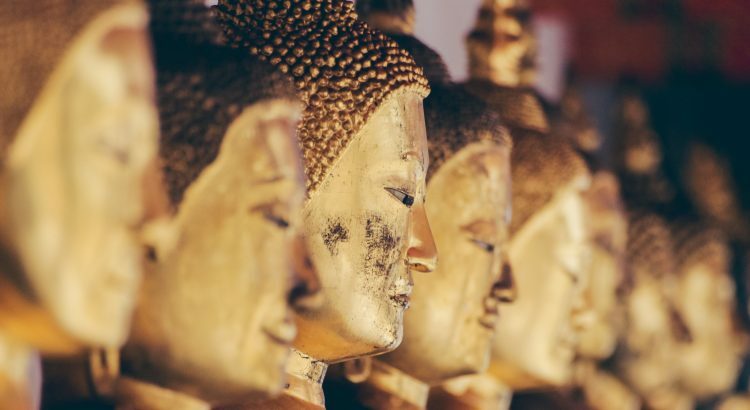 At the Exeter Triratna Group we explore the practice of meditation and Buddhism in a way that is relevant to contemporary life. Our group is friendly and newcomers are very welcome! We are part of an international Buddhism movement, the Triratna Buddhist Community. We meet on Thursday evenings at the Exeter Natural Health Centre in the centre of the town, just off Queen St. The evening runs from 7pm to 9.15pm every week and is both a practice group for regulars as well as a good starting point if you want to find out what we do. If you are thinking of attending for the first time it may be helpful to email Nandavajra to find out if a particular evening will be suitable for you. Please get in touch if you want to find out more about what we do by contacting us. We manage our mailing list via MailChimp, and use it solely to contact you with news from the Triratna Sangha in Exeter and across Devon. You can unsubscribe at any time.